Founded and established in 2014, T E N 2 2 is an industrial warehouse space located in Adelaide, South Australia. Husband and wife team, Dave and Nat Lands, together with Nat's mum Fran, saw a need in the Adelaide market for an industrial, urban event space. With a strong food dream and an ability to visualise what could be, Dave and Nat embarked on renovating and restoring a former wrought iron manufacturing warehouse on South Road, just south of Adelaide's CBD. 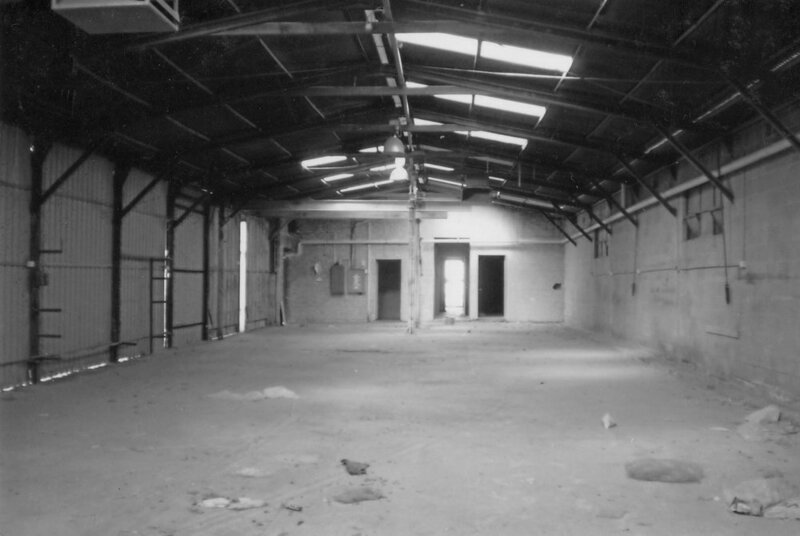 Today T E N 2 2 is fast becoming known as Adelaide's sought after industrial warehouse event space. Growing up in a Spanish family, Nat has been surrounded by large family gatherings since childhood. They were loud, cheerful and always centred around food. She's been inspired to share this tradition. She's passionate about creating events with a warm and inviting atmosphere and, needless to say, have amazing food at the heart of it all. Dave is the foodie of the team. Starting his food career in the Food Truck movement, you'll find him testing his recipes in the kitchen most days. With a love of cultural food, Dave gleaned the Spanish family secret's from Nat's relatives. Today his Spanish Paellas are hard to beat for flavour and are a highlight at every event. Together Dave and Nat love to create. Whether it be designing new spaces for T E N 2 2 or new dishes for the menu, creating is part of who they are. Their entrepreneurial nature has seen them pioneer multiple business over the years but their ultimate food and event dream has been realised in creating T E N 2 2. T E N 2 2 is a family owned and operated business built on family values. The team are driven to ensure guests feel loved and valued when they visit. They go above and beyond to make sure they deliver exceptional events for their clients. It's the people at T E N 2 2 that make this a special place to be. T E N 2 2. Our clients are like family, and it's not uncommon to find me hugging all the family members as they leave at the end of an event. I just love it! Not only do we value our clients, we know how important it is to build a strong culture with our staff. We're in the business of looking after people. I want to ensure our staff feel valued and loved so they can share that same culture with our guests." "It's important to me that guests leave T E N 2 2 raving about the food! I'm passionate about creating hearty dishes. They have to be generous in size and I'm driven to make them taste amazing. I cook meals for my guests like I would for my family. Unpretentious food where everyone relaxes and enjoys themselves." Would you like to chat with the team at T E N 2 2? We'd love to hear from you.